WASHINGTON Amanda Fritz is the only person on the five-member Portland City Council who was elected using the Oregon city’s old public financing system. The program that helped her get elected in 2008, which provided block grants of public money to qualifying candidates, ended in 2010 when voters chose to eliminate it in a referendum vote by a less than 1 percent margin. The argument then was that the city couldn’t afford to pay for the program because the recession had put pressures on its budget. Those budget pressures are gone now, but city politicians are still under stress to spend inordinate amounts of time raising money for campaigns. Fritz said Portland Mayor Charlie Hales showed up at her office last summer and declared he wasn’t going to run for re-election so that he could focus on running the city. The biggest obstacle to doing both: the time drain that comes with fundraising. “That was when Charlie and I started thinking about having a different system and trying to bring it back,” Fritz said. Their response was to reach out to local community groups and national campaign finance reform groups to see if it was possible to create a new public financing system for the city. They copied and modified the popular system used in New York City, where every $1 from small donors is matched with $6 of public funds. The council adopted the new program on Dec. 14, and it’s set to go into effect for the 2020 elections. 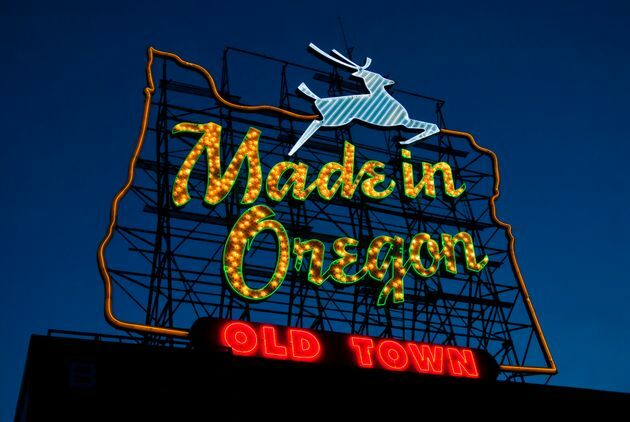 Portland’s passage of campaign finance reform legislation came on the heels of similar victories in South Dakota and Missouri, as well as in Berkeley, California, and Howard County, Maryland. These successes showcase the broad bipartisan support across the country for campaign finance reform that boosts the power of small donors to counter the dominance of big money. These wins, while big in their own right, were supposed to be overshadowed by changes at the Supreme Court level. It’s likely that the election of Donald Trump will have monumental consequences for the issue of money in politics. Democratic presidential nominee Hillary Clinton was poised to appoint a Supreme Court justice who would have been skeptical of the court’s recent push toward complete deregulation of campaign finance. People who support reform and putting limits on big money in politics were already plotting bringing forward cases that could overturn past decisions decisions that had opened the door to big, corporate money in politics and restricted how states or local governments could structure public financing systems. But Trump won the election, and it’s likely that he will appoint someone whose thought process lines up with that of late Justice Antonin Scalia meaning the five-vote Supreme Court majority that wrote Citizens United and gutted state public financing systems would maintain its power and campaign finance laws would continue to fall. So reformers rest their hopes where they can: at the state and local levels. City commissioners in Portland, Oregon, on Dec. 14 enacted asystem to publicly fund city elections. “Even though the larger picture may feel really demoralizing, it is very hopeful that people are stepping up and leading these changes and we’re starting to win them,” said Kate Titus, head of the Oregon chapter of Common Cause, a nonpartisan government accountability group. And there are a lot of bright spots across the country when it comes to campaign finance reforms. A reform initiative in South Dakota passed with 52 percent support from voters showing that campaign finance is an issue that matters to voters of all stripes, considering the state also went for Trump. Similarly, Missouri, a state that went red, passed a ballot initiative reinstating contribution limits for state elections. In 2008, Republicans in the state repealed contribution limits allowing wealthy donors to write seven-figure checks directly to state campaigns. The 2016 initiative to bring back limits passed with 70 percent of the vote. “The same electorate that voted Trump passed these measures all over this country,” said David Donnelly, CEO of the campaign finance reform group Every Voice. Represent.Us and Every Voice have both been working at the state and local level for years. Every Voice pitched in to help craft Portland’s new public financing law and to work with the local coalition to help pass it. Represent.Us worked with local partners in South Dakota and Washington state this year. Represent.Us plans to expand upon its big win in South Dakota by advancing ballot initiatives combining public financing with lobbying and ethics reforms in even more states in 2018, Silver said. The group is also poised to begin pushing initiatives to create nonpartisan redistricting commissions ahead of the 2020 census and to pursue initiatives to enact ranked choice voting systems like the one Maine voters supported on Election Day. There will also be more efforts at the state and local levels to enact public financing systems or lobbying reforms. California is one place to watch. 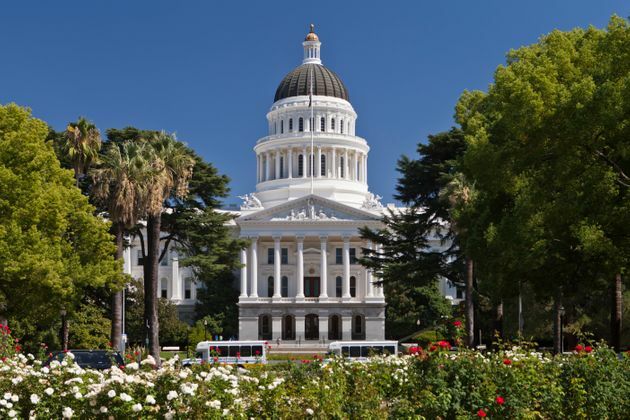 Republicans and Democrats in the legislature joined together this year to repeal a 1988 ballot initiative that banned the use of public funds for statewide elections and some city and county elections. Berkeley was the first city to take advantage of the repeal when voters approved a public funding system on Nov. 8. Kathay Feng, executive director of Common Cause California, said Oakland and San Francisco will both be looking to expand their existing public funding systems by offering a bigger match of public dollars for small donations. Other cities are expected to create their own systems, too. Action at the federal level may be a long way off, but Rep. John Sarbanes (D-Md. ), a leading advocate in Congress for public financing and other campaign finance reforms, said he believes success at the state and local level makes it easier to sell his colleagues on federal legislation. Aside from leading the push for public financing in Congress, Sarbanes has supported reforms in Montgomery County and Howard County in his home state of Maryland. He also travels the country to campaign for state and local reforms. “The efforts at the state and local level now just adds to the list of examples that I can point to, and others can point to, to say here’s a better way,” Sarbanes said. The creation of more public financing systems at the state and local level would also mean that more politicians would use them as they move forward. Public financing will move into Congress as city councilors become state legislators who become congressmen. That’s why the relatively unnoticed victories in South Dakota or Portland are giving energy to campaign finance reform groups. “We’re not slowing down at all,” Donnelly said.